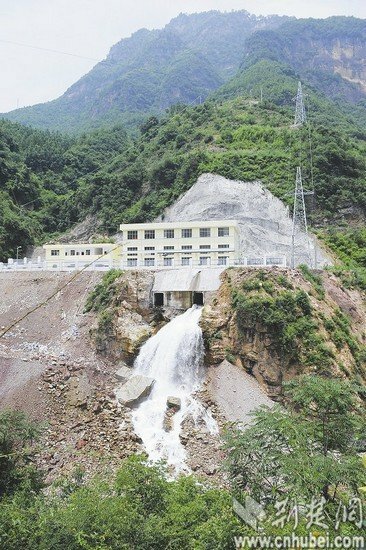 The increasing number of small hydropower stations in Shennongjia Nature Reserve in Hubei Province has triggered worries among locals over the ecosystem damage to the best reserved forest zone in Central China. The increasing number of small hydropower stations in Shennongjia Nature Reserve in Hubei Province has triggered worries among locals over the ecosystem damage to the best reserved forest zone in Central China, Xinhua reported. The development of hydropower dates back to the 1970s, when the local government promoted hydropower as an alternative to wood as fuel to better preserve the forests. But a local official called hydropower stations a "double-edged sword" because while fewer trees have been cut down, the stations also cut off river flows. Yao Chucheng is a local who is frustrated with the reservoirs. The 42-year-old fish farmer has invested about 1 million yuan over the past six years in his farm by a river that runs through his village. A 25,000-kilowatt hydropower station under construction will cut off the water supply to his farm.